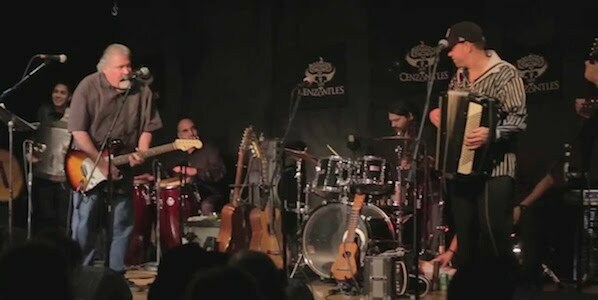 Tomorrow night WXPN in Philadelphia and KRVS in Lafayette, LA will broadcast a live concert with supergroup Creole United from the Blue Moon Saloon. The broadcast kicks off a monthly Zydeco radio show co-hosted by KRVS’s Herman Fuselier and World Cafe‘s David Dye. Before tuning in to the live concert broadcast, watch a video of Creole United’s performance on TV program Swamp ‘n’ Roll below. The band, which features three generations of Zydeco musicians including Andre Thierry, Sean Ardoin, Jeffery Broussard and more, released its latest album Non Jamais Fait last year. The record blends traditional Creole French music with modern Zydeco songs, paying homage to the band’s heritage while creating a path for future Zydeco bands to follow. Watch the show below and get more information on the broadcast here.